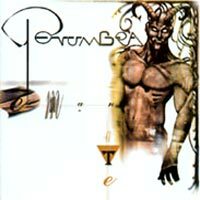 Penumbra are both a gothic metal band from Paris, France and also a name for Mark Warren's ambient project. Their lyrics are themed toward love, angels, witches, death, emotions. They formed in 1996. Even though the band has been founded rather by chance: while visiting a concert one day in 1996 Dorian (guitar) met Jarlaath (voc.) and soon after they had rather introduced each other they found themselves philosophizing about metal in general and in particular. They realized that they had very much in common regarding their musical ideas. Both of them took the view that there are too many bands around sounding all more or less the same but not enough of them using classical music influences. So it happened that they arranged a rehearsal together with a soprano and a synthetizer. Jarlaath also played the oboe. This rehearsal went so outrageously fine that they decided without the slightest hesitation to leave their bands and to found Penumbra (at this point they called themselves Imperatoria). 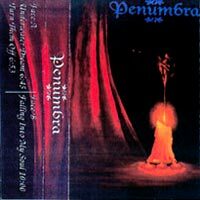 Around November of 1996, Imperatoria had a split and Jarlaath who is rapidly joined by Dorian and Herr Rikk, create Penumbra with three others musicians. Their first appareance was at the St. Denis University Festival where exclusively metal bands were playing. But the people unexpectectedly were absolutly enthusiastic about the "outsiders". A short time after this first live experience they got the offer to play with the French metal band Misanthrope, and again, the respect they met were positive in every respect. Penumbra realized very soon though that the visual aspect of their shows played a very important role. Therefore they completed theirs shows with theatrical effects like costumes, pyrotechnic stakes etc. They realized their first demo the same year. Falling into my soul sold very well and they were regarded benevolently. Summer 98, the recording of the album Emanate starts. Benedicte leave the band and join Misanthrope, she was replaced at keyboards with Zoltan. Two sopranos and a baritone takes part at the recording: Medusa, Elise and Aramis. 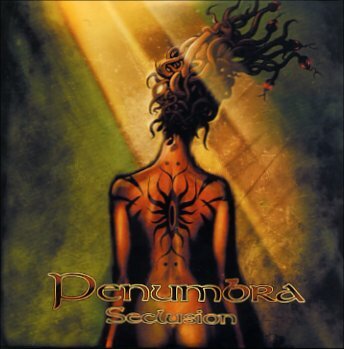 Begining of 2001, Scyllia decided to join another musical project and leaves Penumbra. Hekchen and Aldric leaves the formation too. April/May 2001, Garlic (drums) and Agone (bass guitar and backing vocals) came to the band. The recording of the album starts... End of 2001, The recording of The Last Bewitchment ends. Medusa leaves the band for any personal reasons. First quarter of 2002, Penumbra found a new lyric singer, Kyrsten. The band, accompagned by Stephanie (a guest singer), participates to three concerts in Holland and to the Within Temptation french tour. Penumbra is one half of :zoviet*france:. Penumbra have released one album on ZION TRAIN's label Universal Egg entitled "Anoraks". This will be followed by the release of the album "Skandinavien" on Iris Light and a further album to be released by :zoviet*france:'s own label, Charrm. "Skandinavien" takes source recordings made in Skandinavia and twists them with minimal techno beats and ambient textures.